When most people think of the celebrated greatness that is Coach Dan Gable, they think of an almost mythic intensity toward wrestling. Gable breathes and bleeds the sport and faithfully applies lessons learned from both on and off the mat. 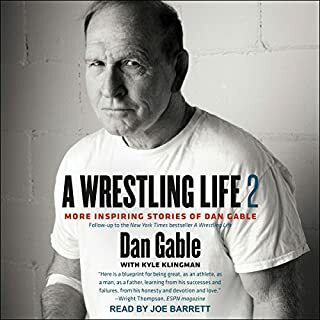 Expanding upon Gable's first collection of stories, A Wrestling Life 2 goes a little deeper into the mindset and life events that have shaped the man, the wrestler, and the coach. 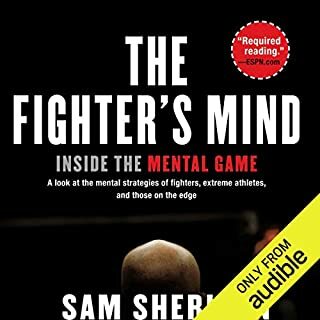 To uncover the secrets of mental strength and success, Sam Sheridan interviewed dozens of the world's most fascinating and dangerous men. For world-renowned professional fighter Georges St-Pierre, the greatest asset is not physical strength or athleticism - it’s a sense of purpose. 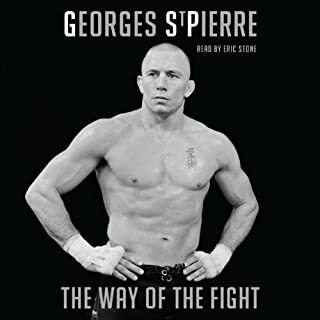 From his beginnings as a small, mercilessly bullied child first discovering karate to his years as a struggling garbage collector who spent all his free time in the gym, his hard-fought rise in the sport of mixed martial arts, and his long, painful recovery from a career-threatening injury, Georges never lost sight of his ambition to become the greatest martial artist of all time. We have all seen the contest where a person is in a bank vault and has 360 seconds to grab as much money as possible. If it were you, would you stop grabbing money after you had "just enough" in your hands? Would you stop grabbing money when there were only 60 seconds left? Would you ever be too tired to keep grabbing more money? Obviously not. Why? Because the reward of what that money can do for you overrides any of the reasons to stop. A wrestling match is the same type of contest. You need to have the same kind of mindset. 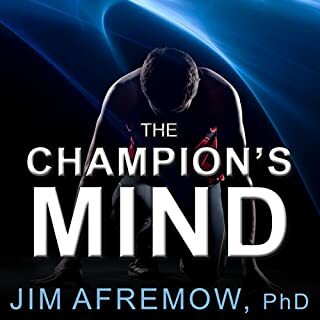 In The Champion's Mind, sports psychologist Jim Afremow, PhD, LPC, now offers the same advice he uses with Olympians, Heisman Trophy winners, and professional athletes, including tips and techniques based on high-performance psychology research, such as how to get in a "zone," thrive on a team, and stay humble; how to progress within a sport and sustain excellence long-term, and customizable pre-performance routines to hit full power when the gun goes off or the puck is dropped. Choosing to create advantaged positions and avoid disadvantaged positions is the most underutilized strategic asset in wrestling. The wrestler who wrestles in his highest advantage position, for the longest time in the match, will have the greater probability of winning. That is the reason why two wrestlers wrestle multiple times with drastically different outcomes, and why the logic doesn't hold that if one wrestler beat another he should be able to beat the wrestler his prior opponent beat. Are you ready to learn lessons to improve your life in all aspects? If so you've come to the right place. Find quotes from Cus instead and avoid this book. The Sports Psychology Secrets You Can Use to Dominate Any Event! Finally! An easy way to use the science of sports psychology to skyrocket your performance! You may already know that pro athletes use the power of sports psychology to boost motivation, manage nerves, and become top performers. The problem is that many of these techniques are kept secret, and other guides are heavy and full of jargon. A riveting, emotional story of one wrestling family's refusal to give up, to be able to endure tremendous emotional pain, and to keep moving forward toward achieving their ultimate goal: to care for and to cure their daughter Jessica, who as a normal 18-year-old college student, has suddenly been placed in a medically induced coma, and to continue to live and love life. Without dying inside. One, without the other was just unacceptable. JohnA must fight to keep living in order to keep his daughter from dying. When Cus D'Amato first saw 13-year-old Mike Tyson spar in the ring, he proclaimed, "That's the heavyweight champion of the world." D'Amato, who had previously managed the careers of world champions Floyd Patterson and José Torres, would go on to train the young Tyson and raise him as a son. D'Amato died a year before Tyson became the youngest heavyweight champion in history. Are you stuck? Struggle. That's the word that comes to mind when I think about the transition from blue belt to purple belt. For reasons that I can't quite work out, when I came to the later stages of being a blue belt I felt confused and lost in my game. Trying to put all the pieces together seemed like a task too far and quitting looked like an option, after all, most guys my age are hitting the golf course or surfing not rolling on the floor with sweat soaked people. What does it take to be an Olympic gold medalist and to coach a collegiate team to 15 NCAA titles? In A Wrestling Life: The Inspiring Stories of Dan Gable, famed wrestler and wrestling coach Dan Gable tells engaging and inspiring stories of his childhood in Waterloo, Iowa; overcoming the murder of his sister as a teenager; his sports career from swimming as a young boy, to his earliest wrestling matches, through the 1972 Olympics; coaching at the University of Iowa from the Banachs to the Brands; life-changing friendships he made along the way; and tales of his family life off the mat. A celebration of determination, teamwork, and the persevering human spirit, A Wrestling Life captures Gable's methods and philosophies for reaching individual greatness as well as the incredible amount of fulfillment and satisfaction that comes from working as part of a team. The whole family enjoyed listening to this enlightening story about our favorite sport of wrestling. Loved It, soaked up every word & memory. I dealt like I was a part of this knowing Dan Gable & once recruited by him. I'll listen to this 100×'s in my years. it will never get old. I enjoyed every minute of it, couldn’t put it down. This book is about his life and stories about family, wrestling, strategy, philosophy etc. It is not a technical book of specifics in wrestling, so it’s appropriate for anyone, even if they have never wrestled. For my fellow wrestlers however, it will show you the mindset of a champion. I wish I could have read it in high school (80s). My dad would have loved it too. He once called Gable “a man amongst men”. Great read, great inspiration, and great life lessons. Thank you Coach Gable! One of my favorite wrestling experiences growing up was attending your Iowa style 2-week intensive training camp in the summer of 1994. I was exposed to the meaning of hard work and enjoyed almost every minute of it. Highly recommend! Make sure you have time because you will but want to stop listening! Great stories from an Iowa legend! We loved Dan's stories about life lessons the best. His methods for success were also inspiring and his passion for wrestling is also a blueprint for success. Great book! First of all I am a big wrestling fan and athletes. What I found most impressive with this book is that it helps an individual look at life and the things that are most important to us as we work to achieve our goals. This is a book is a series of lessons from sports icon Dan Gable, but they can be applied to all parts of life, business, etc. To be the best, learn from the best. I thought this book with give an in depth knowledge of Dan Gable and philosophy. It's more like a scatter brain of thoughts in timeline. Don't know where it's going. like bland, warm and comforting porridge. 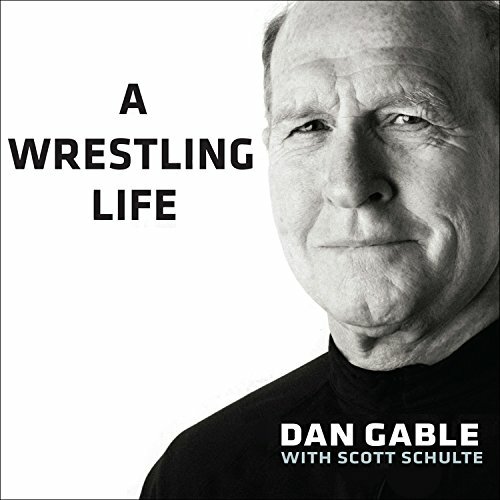 Dan Gable is a legend within wrestling/mma/bjj circles for being one of the finest Olympic wrestlers and wresting coaches. however this book is pretty dull and uninteresting. this book is essentially short stories from Dan's life , all seem to have a underlying moral message underneath them. There is little information on the technical aspects of the sport or dans actual career. The nature of the book results in a vauge and cobbled together collection of stories. An incredibly easy listen, but it is the audio equivalent of bland but comforting porridge. Very well read though.